Garage door safety is really important, so we have compiled a list of top tips for how to keep you, those around you, and your home safe while using your garage door. We hope you find this useful, and let us know if we’ve missed anything out! Always keep your garage door controls out of reach of small children who may play with it and potentially hurt themselves. Over-use of your garage door through children abusing the controls can shorten the life of the door and also puts them in danger of hurting themselves. It can also lead to your garage door open to the elements and potentially people looking to steal from your home. Learning how to use the emergency release function is a key part of garage door safety. In case of emergency, it will allow you to open the door and exit quickly. This is a great safety tip for emergencies where you may have to take it to take someone to the hospital for example. Sometimes faults are easy to see. Perhaps a wire chewed by a mouse. This could be a massive safety risk. You can easily avoid something like this becoming dangerous by visually inspecting your garage door whenever possible. This is not only great garage door safety, but could potentially extend the lifetime of your door too. An easy way to avoid any sort of injury is to keep yourself away from moving parts when the door is in use. This is especially important if your door does not have a sensor to automatically open on contact with anything but the floor. There are many safety issues with these garage doors, and if you do have a sensor remember to test regularly by putting something underneath the door before closing it. If it’s possible, you should unplug your garage door when going away for extended periods of time. This stops people opening it with any sort of remote, and helps keep your home more secure. You should also add a physical lock if possible as this can ensure that your door will not be prised open in any way. Even if you have the most secure garage door, anyone trying to rob your house during this period has extended amounts of time to get the garage door open. Leaving a remote in your car can be a fatal error as if someone steals your car they also now have access to your home. It has been known that people would steal cars to gain access to your home in this way. Common things to do are to keep your remote on a keychain or safely locked away at home. Garage door safety begins when you read your garage door manual and the safety instructions so that you know exactly how it works. This will help you keep safe around it, installing it, and also help you spot any faults that may occur. Keeping safe while using your garage door isn’t the only consideration. You have to remember to keep those around you safe too. Always educate toddlers and teenagers about how the door works and how to keep safe around it. Without this knowledge, they may end up hurting themselves in the future, or even having their interest peaked and begin playing with it. Make sure they know that a garage door isn’t a toy. It’s not safe to leave your door slightly open. Keep your door either open or closed all the way to avoid injury or break in and ensure the safety of your home. Locking your controller away from prying hands is easy and should be done without fail. It keeps it away from anyone who shouldn’t get their hands on it, including robbers and children. It’s an easy step to ensuring safety in your home. This step is not as easy to fulfil all the time but should not be ignored. Children and pets going near, under or around the moving parts of your garage door can seriously injure them. Try to make sure all children and animals are safely away from the door during this short period. An easy way to identify if there is a problem with your door is to listen out for any unusual noises. Never disregard a noise that was not present previously as this could be a good step in identifying a problem with your garage door. This is a great garage door safety tip for keeping safe while using your garage door as it’s easy to accomplish with very little effort and can be very effective. If you bump knock or crash into your garage door with your car, make sure to inspect the door. While it may not leave any obvious signs of damage you could have compromised the garage door and it may not be safe to use. If you believe that there may be a problem, call out an expert to check it and make sure that it’s working just fine. Don’t leave your garage before your door is fully closed. 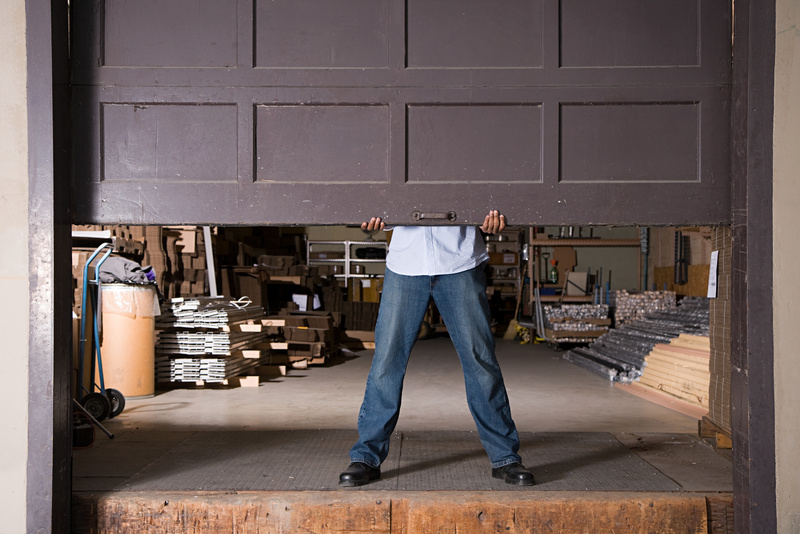 Some garage doors allow you to press a button and walk away, but this could be a huge mistake. If the door does not close properly once you’ve walked away, your home is open to any animal or person who may want to wander in, and you also leave your home open to the elements.